Since this is a loop, this excursion can be started anywhere along the route. 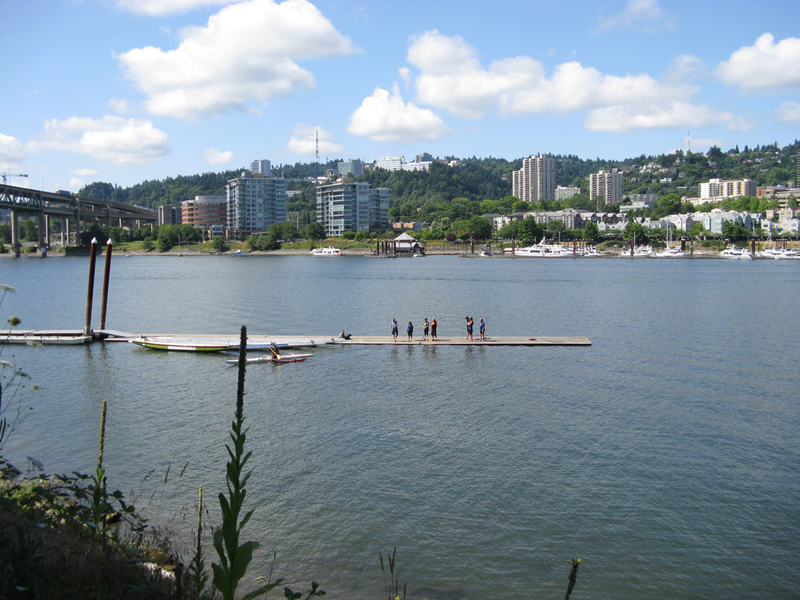 I like to start at Sellwood Riverfront Park because parking is plentiful and free. 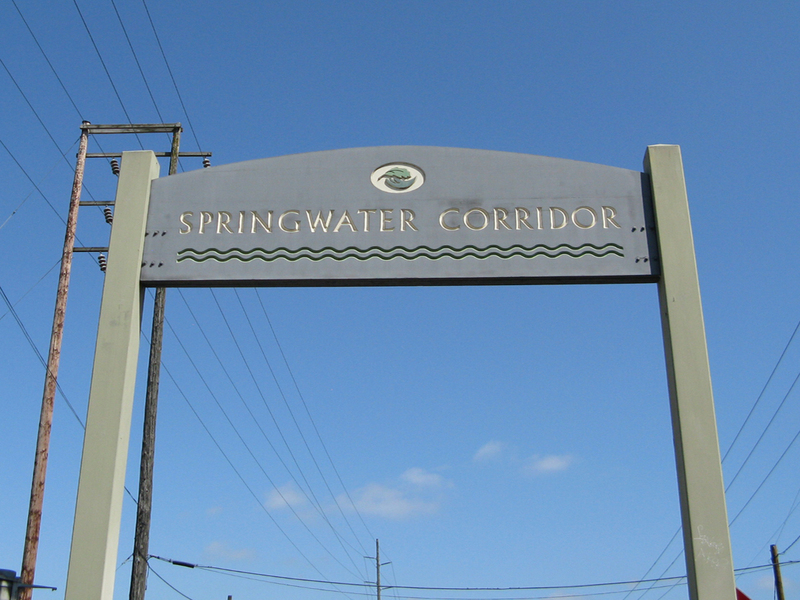 Also, it is right next to the Springwater Trail – no traffic to deal with to get to the trail. The first segment of the Adventure leads through a wooded area, between the banks of the Willamette River and the wetland of Oaks Bottom Wildlife Refuge. I like to bring my binoculars and stop to check on the waterfowl in the open water, the osprey nest, or scan for the bald eagles that come from nearby Ross Island to stalk prey. 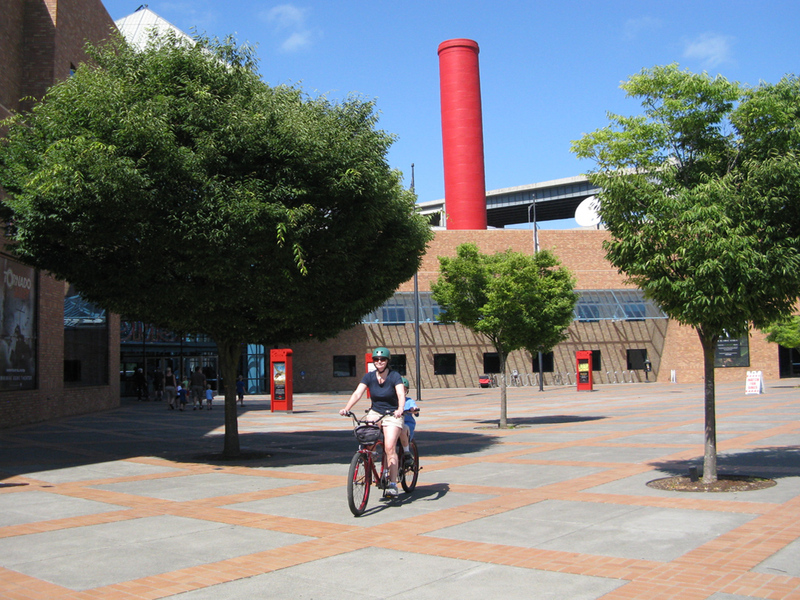 The Springwater Trail ends in the industrial area near OMSI. 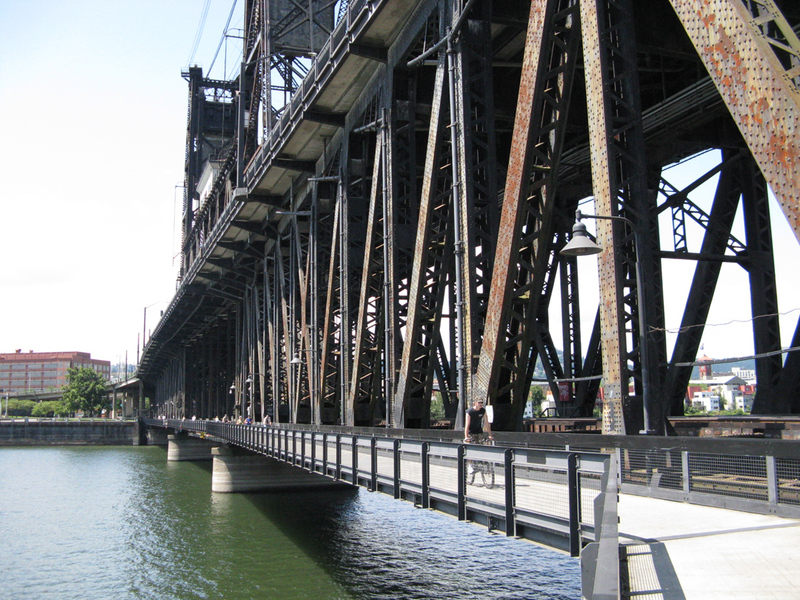 However, it’s just a couple of blocks from the Esplanade trail – which will take you all the way to the Steel Bridge. Cross the bridge, and you are in Waterfront Park. In March you will be greeted by the cherry trees in full blossom. 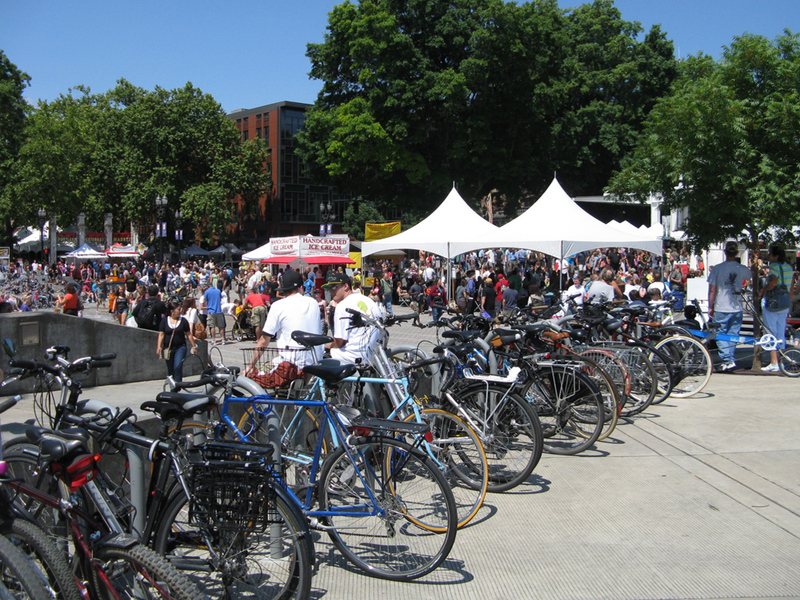 If you are doing this trip on a Saturday, bring your bike lock, and check out Saturday Market on foot. The many food stands will tempt you with their international menu. A little further south take a small detour through the Japanese Memorial. It's stark and moving, haikus on boulders evoking the internments during World War II. Dodge your way going south along Waterfront Park, among many other bicyclists, families with strollers, promenading couples, senior citizens taking a walk, kids running around, students tossing Frisbees… geese feeding on the lawn. Eventually you reach the Riverplace Marina. I like to stop at the Little River Cafe for lunch or an ice cream cone. It’s more quiet than Saturday market. You can sit in the shade of the trees and look out at the activity on the water. Eventually continue south. 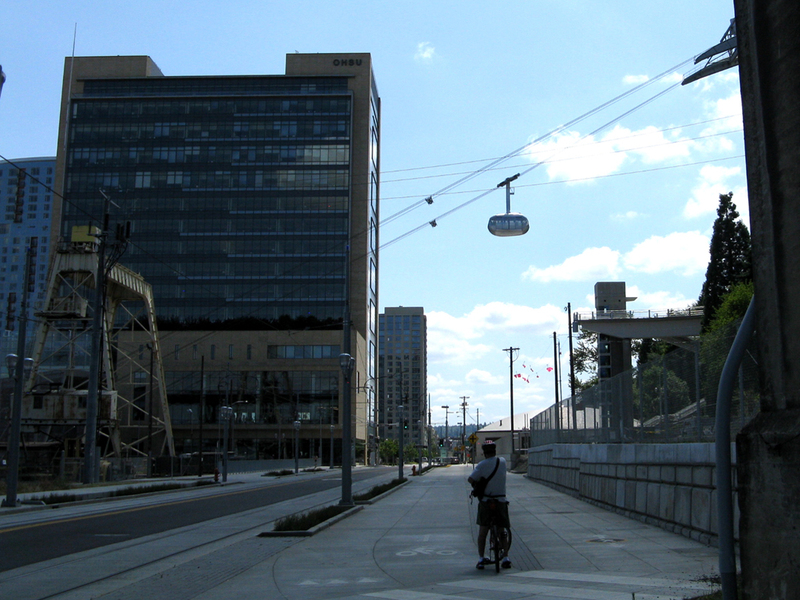 Waterfront Park comes to an end and the trail leads away from the river to follow the trolley line to the South Waterfront neighborhood. 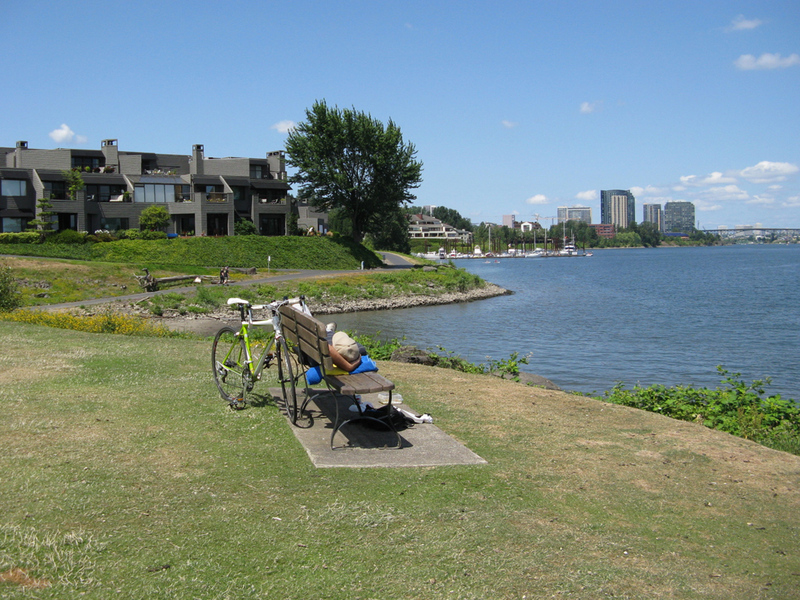 At the south end of this new development the trail goes back to the river, eventually crossing Willamette Park, Butterfly Park and Willamette Moorage Park, as well as a delightful “secret” little cluster of houses, formerly boat houses, but one by one upgraded to attractive riverfront properties. Eventually you have to leave the river once again to join a path paralleling Macadam Avenue. It’s not great, but at least you never have to share Macadam with the traffic. A bike path leads you onto the Sellwood Bridge. You cross it on the north side. The sidewalk is very narrow, you can cross neither another bike, nor a pedestrian and best is to walk your bike. 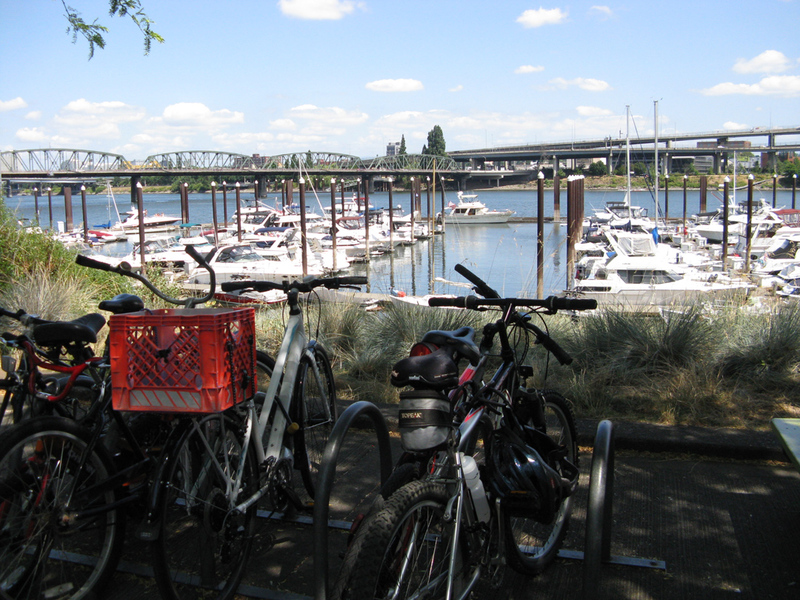 From the east side of the bridge it’s a short ride on side streets back to Sellwood Riverfront Park and restrooms. 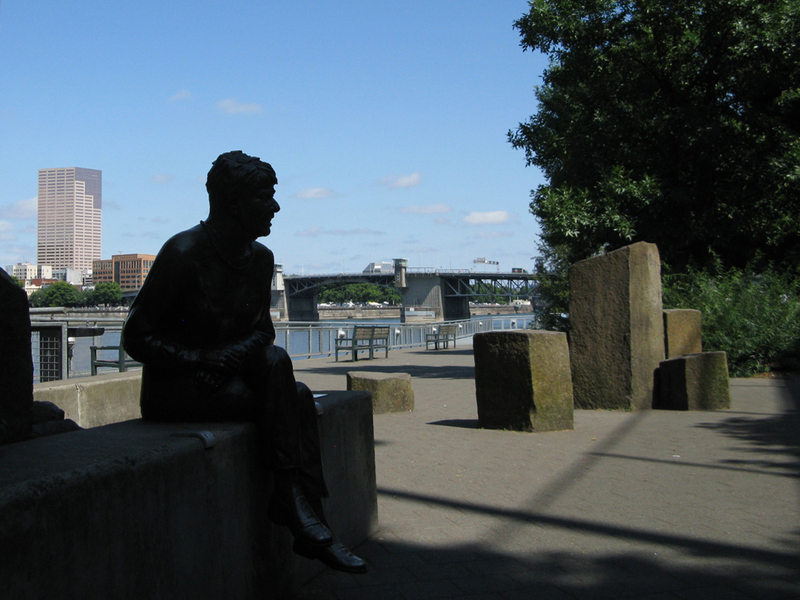 Tom McCall Waterfront Park used to be a highway! 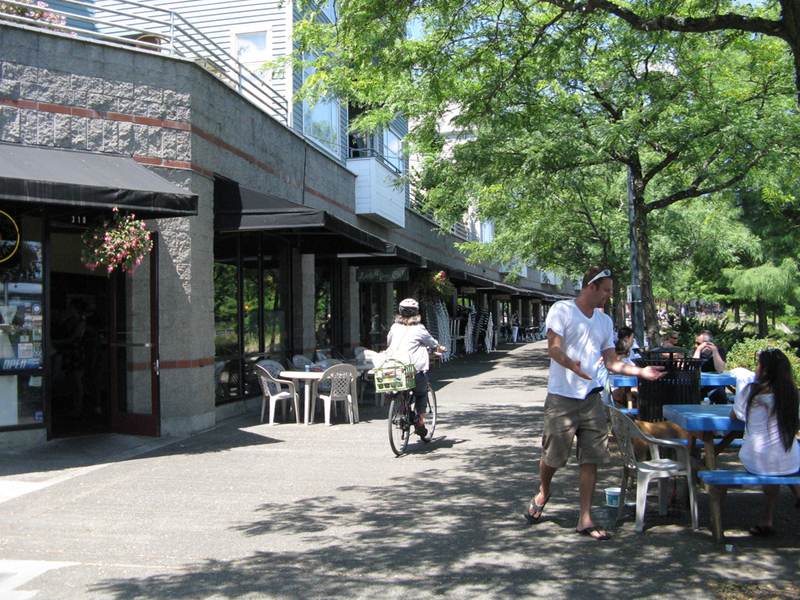 Learn more from the Congress of New Urbanism. Great description - the only thing missing (and necessary for people not from Portland) - how long is the loop? Just a quick correction, the Japanese Memorial is just North of Saturday Mkt not South as the description states.